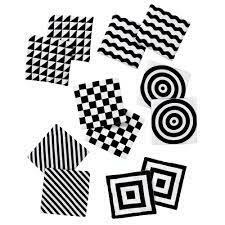 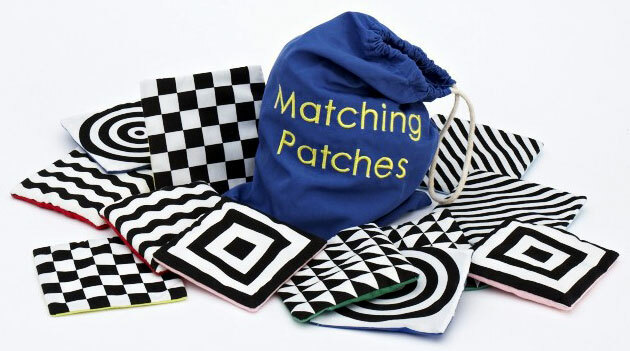 These pairs of matching shapes appeal to new babies, as they have black and white graphics on one side, and the colour graphics will also be liked by older babies and toddlers. 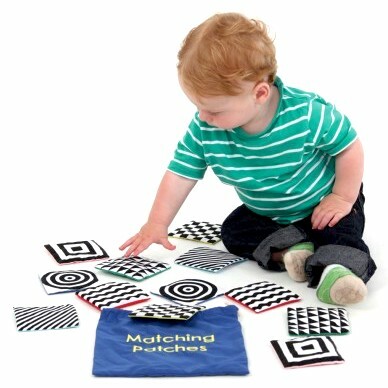 Matching the pictures, or graphics will keep toddlers interested, while new babies will be visually stimulated by the high contrast graphics. 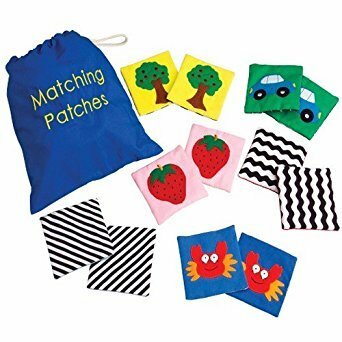 The squares have a quality feel to them, beautifully made, each appliqued with a brightly coloured images (flower, tree, car, dog, strawberry, crab and apple tree) and inside each pair of squares there is a different texture (small and large beads, soft sponge, textured netting, a smooth rigid material and a noisy crinkling paper).